Building super well located in front of markets, ballades, restaurants, bars and live music at the beach decky. 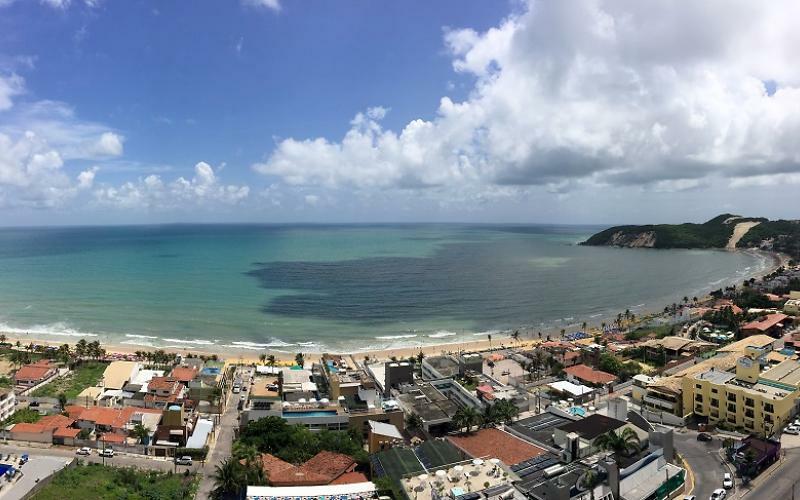 Exactly the angle of the morro do careca and extension of your beach, incredible ventilation. Beautiful apartment of 40 m2. Fully furnished, With free Wi-Fi Internet, Cable Tv, led Tv. Apartment for 3 or 4 people, depending on availability. Suite with double bed, air conditioning, split and sofa and sofa bed. 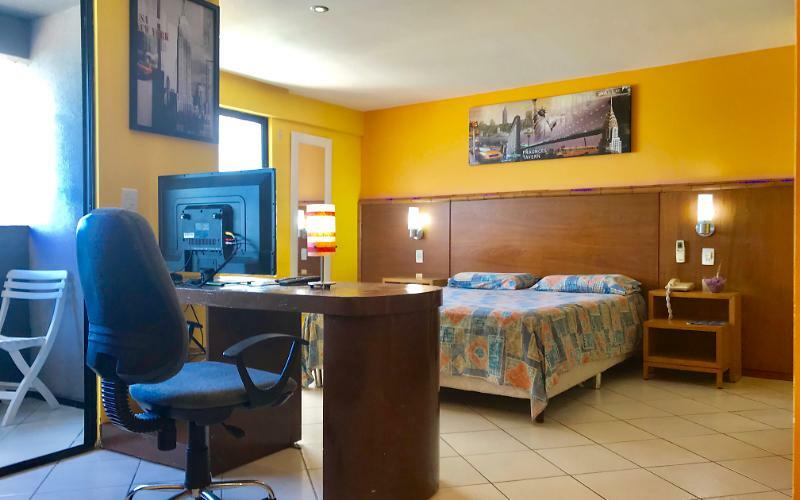 * Apartment of 40 m2, fully furnished, With Internet WiFi gratis. * Apartment for 3 or 4 people, depending on availability. * Suite with double bed, air conditioning split, wardrobe with hangers. * Fully equipped kitchen with microwave, freezer, coffee maker. * Living room with sofa (Sofa Bed), TV, Led Bureau lunch/dinner and 3 chairs. * Bathroom with hot water. Towels, laundry and dryer pasar iron. * Daily Housekeeping of the apartment. (Basic) * Sheets, safe, make-up mirror, cable TV. * Balcony with chairs and table. Also available network. * 100% front sight to the sea. (*) * Access with wheelchairs. Front view to the sea. 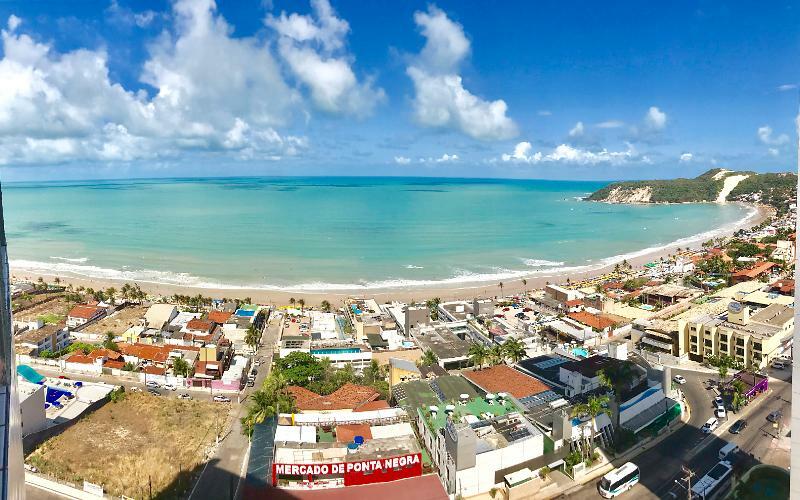 * About 80 metres from the Beach of Ponta Negra. * 24 hours Security, gymnasium. Restaurant. * Swimming pool, Solarium, Internet Wi-Fi free. * Private car garage for free. * Close to restaurants, Pizzeria, shops, supermarket, handicraft and Pharmacy. * Close to rental car, bus stop and Taxi. * 55 minutes from the airport.